ABSTRACTNew testimonial evidence and a document are bared in Status Report IV, following the re-emergence in 1983 of the informant whose experience, as a witness, was first disclosed three years earlier and published as Case A3 in Status Report III, 1982. The source, a sergeant in the Air Force Security Police at McGuire AFB, adds substantive information relative to the reported fatal encounter on January 18, 1978, between an alleged alien entity and a Ft. Dix MP and relates his firsthand observation, while on duty, when the slain entity was found on an abandoned runway at McGuire AFB. The source also reveals his sensitive involvement with authorities in various agencies following his discharge from service because of his disclosures to this writer. Also reported are the communications with the source since 1980 and an arranged meeting between the source and a colleague to lend back-up credibility to the case. Investigation continues. PROLOGUE: THE BURDEN OF PROOFProof: The burden of this one word, and perhaps its ambiguity, has haunted and frustrated UFO research since businessman-pilot, Ken Arnold sighted nine saucer-like things over Mt. Rainier in 1947. Proof! Its implications burden all of us who try to convince the skeptic that unidentified objects, flying under apparent intelligent control, have intruded into Earth’s air space and sometimes allegedly land and, on rare occasions, crash. All factors considered, I believe we, in the domain of public research, do not have that exalted proof to exhibit for any of the foregoing anomalous UFO events. As Dr. J. Allen Hynek of CUFOS, would say, we do have “reports” describing such events and, as we all will agree, many are made by credible people. Yes, our research treasury has thousands of reports of UFO encounters of all kinds providing stacks of circumstantial but highly suggestive evidence. Alas, these are not proof. Nor do affidavits, “leaked” government documents, and photographs constitute proof. Regrettably, experience has taught us that any of these so-called proofs may well be fakes. Even a released document through the Freedom of Information Act is not proof, for the subject it treats too often contains precious little of value, due to censored deletions, vague phraseology, or references rendered meaningless without additional support data which are never made available. 42So, what is that proof that remains so elusive from public view? According to scientific discipline, proof, in the case of UFO, can be reduced simply to the possession of a captive craft or artifact or a cadaver, if you will, that can be seen, touched, and smelled, and to please Phil Klass, the world’s foremost debunker, we might include, tasted. I must, therefore, face the inevitable questions in my special research: Has such a nondescript craft been retrieved and studied and, to stretch a point, duplicated at some secret base? And, has a crew member of exotic anatomy been secretly examined and maintained in chemical preservation at some medical facility? In spite of all the known evidence, including the testimony I have published in my series of monographs, I can offer no proof, by my definition, of the recovery of an alien craft or its occupants. So be it for me in the public sector. Then, there is the “official sector whose military spokespeople from the outset have denied the existence of the UFO. Why? By now it should be obvious to every researcher that behind these denials, something “above top secret,” as Senator Barry Goldwater has said, is being hidden – perhaps, something big enough to shake up our societal patterns. Whatever we may think of its implications for mankind, we do know that much information has been bared since World War II by credible military sources about UFO intercept missions, aircraft losses, visual sightings confirmed by radar and, yes, UFO landings on military installations and a crash, among several, one dating back to 1947. On the other hand, if all UFOs have simple explanations as the Air Force contends (and, as a spokesman once commented, “we are hiding nothing” at Wright-Patterson AFB), then why enforce such high degree of secrecy to hide nothing? I would like to be assured that governments worldwide, including Russia, and especially our own National Reconnaissance Office are working on these problems. In good faith, I address these problems with new evidence for Case A3, published in Status Report III, UFO Crash/Retrievals: Amassing The Evidence (1982). September 23, 1980, was to become more than just a typically busy day for me in UFO matters. According to my UFOLOG, I note that I had communications by phone and mail with Joe Brill, Michael Dougan, Bob Gribble, Diane Saghe, and a journalist in Japan. And, there was an envelope with an APO San Francisco return address. Time will tell, I assured myself. Soon, Sgt. Morse would return home and if he had something of substance to back his claims it would be the big breakthrough. I was determined to see this one case through disregarding time, energy, and cost. Proving it, however, would be a monumental burden. 44with him. This covers a span of time from Morse’s initial letter in 1980 into a period of apparent mail interference, then through his long interval of silence into his re-emergence in 1983. In a letter dated November 27, 1980, from his home address, Morse answered as follows: “Sorry to have had such a delay in my response to you. I’m sorry to say I did not receive your letter of 27 September 1980. I haven’t received any mail since August 1980. 1 don’t know why. I am now out of the service and am home. I am prepared to answer your questions. I believe, however, I told you everything I know, but I’m not sure it was much to go on. But, I hope it leads you to someone who knows more about it. I’m sorry I can’t recall too many names. The desk sergeant that night was Sgt. C (last name only) and he would know much more as fact. That’s all I know of his name, however, I do remember that he was rather dedicated and may still be in the USAF. Well, I would like your next response ASAP and will try to give you my phone number by then. 45spond. On February 16, 1981, I wrote again, expressing my concern and asked for a prompt reply as evidence of his sincerity. No answer. Had it not been for Morse’s brief letter of November 27 in which he asked for me to respond “ASAP” I would have dismissed his disclosure of the incident as questionable. Something was amiss. Or was the mail sent to his home being lost through negligence, a long shot, or lifted at his post office by directive to the Postmaster from one of the intelligence agencies? Whatever the method used to silence Jeffrey Morse, I reasoned, it was effective. All communications ceased and, like so many other informants in 1980, Morse became a phantom. By March 1981, while preparing the text for Status Report III, I had decided it was time to take inventory; time for appraisal of the material on hand and of myself still in the midst of a heated controversy among researchers over the pros and cons of UFO crashes and retrievals. I needed outside thinking, and assessment of cases, a new perspective. To this end, I invited to my home two trustworthy friends who supported and contributed to my endeavors: Dr. Peter Rank, Chief of Radiology at the Methodist Hospital in Madison, Wis, and, Richard Hall, former Assistant Director of NICAP and then Editor of the MUFON UFO Journal. (Note 3) During our long weekend chats, evaluating every case I planned to publish, we agreed that the Ft. Dix McGuire encounter was among the foremost as to potential value, providing we could establish the genuineness of Morse. On this premise, I gave Hall his name and address, hopeful that new blood might stimulate a response. Morse surfaced by phone on December 6, 1983, and I heard his voice for the first time. He called me at dinnertime, identifying himself by first name only, He said he felt safe now as enough time had passed since an official visitor warned him about his oath of secrecy. Talking cautiously for about 15 minutes, we covered the basics of many issues. Among his highpoints, however, were the disclosures that two days after the incident he and others on duty at the scene were summoned to Wright-Patterson AFB for interrogation, and that each was transferred promptly to a separate base overseas. His assignment was to a new Security Police Squadron in Okinawa. “Others,” he said, “went to the Philippines, Germany, and Korea.” Finally, he promised to answer any questions I had by letter and he gave me his phone number. Morse replied promptly, his letter post-marked December 14, 1983, included a map he sketched of the scene of action and a rough drawing of the body. (Answers, to some of my key questions appear later in the text of this paper wherever the subject is appropriate.) Additional information came by phone, December 13, 1983. In this exchange, I got the names and ranks of the officers who were his interrogators at Wright-Patterson. These, he said, were obtained from a source still in the Air Force he preferred not to identify. With the Ft. Dix-McGuire case going from Square One to Square Two, my dialogue with Morse was now on a constant but cautious track, always mindful of surveillance. 47The next event came as a surprise by certified mail postmarked December 23, 1983. On the flap of the envelope it said, “Merry Christmas. I hope you like it.” Inside, was a xeroxed copy of the Incident/Complaint Report (Form 1569)that Morse had hinted, by phone, he might be able to procure as important back-up. The Report was brief, but essentially contained the same story told by Morse. Prepared by Desk Sgt. WC and signed by 1st Lt. WS, it was channeled to Col. Landon, Commanding Officer of McGuire AFB; Brig. Gen. Brown, HQ., 21st Air Force (at McGuire AFB); and the Air Force Office of Special Investigations (AFOSI). It contained the names of the security policemen involved, including Morse, and the name of the MP as signed to Ft. Dix whom Morse later identified as the person having shot the alien intruder. (See Figure 2, Incident/Complaint Report.) However, as agreed in our ensuing talks, I have deleted the names of the persons in the document. Also to protect the persons named, as he later confirmed when questioned, Morse had opaqued out the social security numbers opposite each name in the report. “These numbers are private,” he said. To establish how it all began, I believe, is important for it diminishes the chance that Morse may have acted in collusion with a Stateside hoaxer. Also, to verify that he was stationed in Okinawa, I asked questions about the island’s terrain and its little-known off shore island, le Shima. His answers were right on target as I knew these islands well, having been there myself with the 5th Air Force in World War II. 48dressed to another member of his unit on patrol went unanswered; still another refused to surface to his request fearing for his career in the services. “No way,” was the response. The only other anomaly that Morse attributed to the presence of the body was the strong smell of ammonia in the cold night air, and, I note here that the same odor also prevailed at the alleged crash site in Case A-2 of Status Report III. ately transferred to new posts in the county, and that all records on their blotter regarding the incident were removed. My search for UFO reports coincidental to the January 18, 1978, event, mainly in the eastern part of the U.S.A., indicates there was no national flap and no concentration of sightings in the New Jersey area at that time. A check into the reports collected and evaluated in the International UFO Reporter (CUFOS) for that time period show that 82 reports, according to editor Allan Hendry, were judged to be “identifiable or inappropriate,” however five were selected for review in the March 1978 issue. These occurred in Toledo, Ohio, 1/23/78; Williamston, N.C., 1/27/78; Key West, Fla., 1/27/78; Montvale, N.J., 1/31/78; and Peoria, Ill. 2/5/78. The only case possibly akin to the Ft. Dix-McGuiire encounter is the January 31 report in Montvale, N.J., which involved humanoids. This story was reported in the February 1978 issue of the MUFON UFO Journal with drawings of the entities, bearing little resemblance to the biped described by Morse. It was also fully reported in the April 1978 issue of the International UFO Reporter. Only because the encounter happened in New Jersey and within a reasonable time frame is it of relative interest. Another case occurring January 15, 1978, three days before the incident, involved a pilot, Roger K, and passengers flying in a Sundowner from Evansville, Ind., to Lunken Airport in Cincinnati, Ohio. I received the pilot’s call who got my telephone number from the Control Tower, explaining that he had a harrowing experience 20 miles north of Louisville, Ky., at 5,500 feet when he observed two white lights, one moving back and forth, the other stationary. Watching the one object make a circle, he said, it all of a sudden headed for the Sundowner on a collision course. To escape its path, he dove 1,000 feet and watched it pass overhead and out of sight. Calling the Control Tower at Standiford Airport in Louisville, he heard they had received calls from people in the area who saw a UFO. 50would often stop by in his patrol car and play with the kids. We got to know him well. HPS added that he had no reason to question his honesty or sincerity. In my opinion, had Morse been a shrewd hoaxer he could have inveigled someone else into adding spicy details to the incident instead of HPS, who, in all honesty, provided little of real substance to support his case. But my call was worth the cost; HPS vouched that Morse was at McGuire in 1978 and that he was a likable person. Of pertinence in this event is that the UFO was green as were those observed by Morse. Despite a variance in shade, perhaps, in my research green is among the least common of colors in the spectrum reported for UFOS. Most often reported is white, yellow, orange, and red. Considering that Erlanger, south of Cincinnati, is as the crow flies, a short hop for a UFO to New Jersey, the two events may be plausibly linked. 51ported from an outside base. It also strengthened his belief, and mine, that a UFO had not crashed or been disabled nearby requiring close tactical air support. But, what of a landed craft, perhaps one that touch-landed earlier at Ft. Dix? Could it have deployed one or more of its kind to perform a duty, forever unknown, at one or both of the adjoining military installations? The book, Clear Intent by Lawrence Fawcett & Barry Greenwood (Prentice-Hall, 1984) relates many reports of UFO surveillance over airbases in 1975-76 and I know of many more hidden under the lid of secrecy. At McGuire, once the sensitive area had been roped off and ECP (Entry Control Point) established, a generator unit was brought in for better lighting. At least a dozen men, said Morse, armed with M-l6’s were assigned to guard at the ropes and no one was allowed to enter except the base commander, the security police squadron commander, 1st Lt. WS of the security police squadron, and a base photographer. Before going off duty, Morse and others watched the silver box fork-lifted into a C-141 which arrived about 7 a.m. from Wright-Patterson AFB (identified by special markings) and, later, at a distance he said he watched the plane and its secret cargo soar aloft into limbo, presumed destination, Dayton, Ohio. Never once, as Morse recalls, did any of the interrogators offer information or an explanation of the incident. Nor did anyone ever refer to the retrieved dead body or suggest that it may have been of extraterrestrial origin. Said Morse, “they beat around the bush, all references to it were indirect.” The day after the interrogation, Morse returned to McGuire, was debriefed by his Commanding Officer, Lt. Col. FM, and released for normal duty. The incident, he said, was not discussed again by anyone as though it never happened. 52The names of the officers at Wright-Patterson, including a Brigadier General, which Morse had had confirmed by a source still in the military, have been known to me since our first telephone chat. Although I agreed not to publish these names, in respect to security, I did insist they be authenticated and by someone other than myself, to lend credence to the case. With permission, I gave the names to Richard Hall, who had access to such records at the Library of Congress. For the record, the officers at McGuire were also checked out and confirmed, but unfortunately, as Hall explained, the assignments for the time and place of the Wright-Patterson officers were not obtainable in the Air Force Register or in any other immediately available record. Also, disappointing, there was no direct way to check on the enlisted men named in the Incident/Complaint Report without having the identification of a social security or military serial number. 4. Surveillance? Morse believes that his problem of living under the burden of surveillance began with his first letter to me from overseas. If we can assume for a moment that Morse’s story is true, then we can also assume that such UFO-related military incidents are safeguarded by any means necessary to maintain optimum secrecy. Thus Morse being a risk had his mail monitored. Needless to say, at this point when his breach of security was discovered, his mail and, perhaps, mine in 1980 suffered interference which led to his having visitors with warnings. 53It is no wonder that Morse may have had some second thoughts about reaching me until 1983. But, his affairs were not to get better. 5. Analogy: The Ellsworth Case. In a James Bond movie we all can recognize James Bond, but in UFO research we cannot always identify the real Bond from a bogus Bond. For certain, however, intrigue is highly visible in Bond of fiction and in some areas of UFO research, especially in the sensitive area of crash/retrievals. While Morse’s disclosures may seem fictitious, there is one parallel case of violence that probably is just that, fictitious, and it deserves a hearing in this report. This one is known as the Ellsworth Case because the missile site where it allegedly occurred is under the command of Ellsworth AFB near Rapid City, S. Dakota. 54the help of Ellsworth’s Information Officer, and checked on each person’s story, they were convinced that the incident was a hoax. 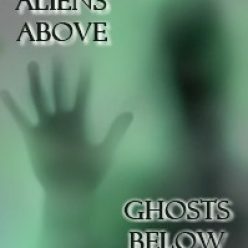 Never published in the Inquirer, the story was scrapped until it was revived by some UFO enthusiasts circulating rumors that it was true and cleverly covered-up. To put it to rest, Pratt, during his tenure as editor of the MUFON UFO Journal, published his “Anatomy of a Hoax” in the January 1984 issue. Morse, who has survived all of his ordeals since his story was published in Status Report III, remains openly agreeable to the investigation of his case. Cooperatively, he did not question my challenge to have the officers names at Wright-Patterson or the personnel at McGuire checked out, and welcomed the chance to meet and be interviewed on all issues by one of my more critical colleagues, Richard Hall. Through many letters and mostly by phone I got to know Morse as amiable, bright and alert and inclined toward reticence, never resorting to glib, idle chatter. When questioned on critical or touchy issues, he was trigger-quick to respond in convincing detail; but, in the main, he always spoke guardedly, revealing little personal emotion over his dramatic experiences. Sometimes I felt that behind this stoic reserve, and his admission that he didn’t have answers to many of my questions, he may have known more than he was saying. Above all, however, Morse never once contradicted himself with the information he chose to offer. SUMMARY COMMENTSIn bringing my report to a close, I recognize the need for more information about the shooting episode at Ft. Dix and the nature of the body retrieved from McGuire. But, for the moment, the testimony of the one and only available witness must carry the so-called burden of proof. Hall’s informative meeting and my many exchanges by letter and phone certainly establish a strong base for Morse’s integrity. 56spite its alien anatomy, was of extraterrestrial origin or that it might have come from one of the UFOs he saw overhead on that fatal night of January 18, 1978. At this point, with so much at stake on the testimony of one witness, we must go beyond the anecdote and the support data and take a closer look at the witness himself. What kind of person is Jeffrey Morse? Born September 10, 1958, he was 20 years old at the time of the incident. After high school he attended various universities taking prep courses, finally majoring in computer science. A Catholic by faith, he attends church regularly and in keeping with his interest in law enforcement, he is a member of the Fraternal Order of Police. Among his hobbies and for recreation he is into video taping, foreign languages, plays softball, touch football, and is a coach in youth sporting activities. A point, indeed, but it’s a weak point. I know of no good reason for an undercover agent to continue to play games long after his story was published in my 1982 Status Report. Certainly if it were contrived to expose my gullibility and thus discredit my work, why have the conspirators not unleashed their stooges to flaunt their spoils of triumph by now? Moreover, Morse knows that I have no intention to present his case, in this paper, as proof. Status Report IV is purely an analysis of events encompassing one case worthy of serious review. I believe the data I present here offer substantially more than other encounters or retrievals published in my series of status reports. Significantly inadequate by comparison is the Nellis AFB affair, 1968, in Case A-5 Status Report II, and the Lumberton (or Wilmington), Ohio, skirmish in Case B-13 of the same paper and updated on Page 44 of Status Report III. The only commonality, it seems, is that they all carry a burden of proof as do all cases in UFO lore! Since 1982, new sources have emerged and vanished on the horizon of my research, none worthy of a monograph. I think Jeffrey Morse’s case is special and, if we like to ramble in our thoughts seeking answers, or feel inclined to speculate into the shadowy realms of intrigue, perhaps there is another side to secrecy, the side that occasionally leaks the truth, if you will, for the simple reason that it is long overdue. NOTES1. See Status Report III (1982), pages 40-41; also articles published in MUFON UFO Journal, Dec. 1980 and Sept. 1981. 2. Also known as the Bentwaters Case, site of U.S. air base in the Rendlesham Forest. See Crash by British authors Brenda Butler, Dot Street, and Jenny Randles (Neville Spearman, Brigland, 1984). I must, however, note that these authors are in error on page 213 where they state, “Stringfield was too scared to travel to the conference [Univ. of Nebraska, Nov. 1983, where my paper “UFO C/R Update” was read by Ray Boeche] because he believed he was in danger following his research.” Not so. There was no basis whatsoever for being scared. My reason, simply, was that I had no important information in my brief report warranting my presence or the expense of travel. 3. See statement in Epilogue, page 49, of Status Report III, signed by Dr. Peter Rank and Richard Hall. 5. See Case A7 in Status Report II (1980) which includes letter from medical source describing, in layman’s terms, his observation of alien specimen. See also analogous description by a former CIA person in Case A6, same report. 6. On my suggestion, Morse obtained a copy of the Feb. 1985 issue of OMNI magazine, which featured an article about Dr. Hynek with current pictures. Oddly, a letter sent to Morse on Jan. 12, 1985, with various enclosures, including pictures of Dr. Hynek (vintage 1978) for his comments, was never received. 1 Feb 1965 Letter to Stringfield From AF/FOIA Mngr.